Mozilla has brought Firefox Lockbox to Android for the first time. The free password manager has been available on iOS for a while, but Firefox Lockbox is now available on Android as well. Which means now might be a good time to consider switching to Firefox 7 Reasons to Switch From Google Chrome to Mozilla Firefox 7 Reasons to Switch From Google Chrome to Mozilla Firefox Google Chrome is the most popular web browser, but is it right for you? Here's why you might prefer Mozilla Firefox. Read More . When the internet first hit big, most people chose a password and used it across multiple sites. And that was fine for a while. However, now, with passwords leaking on a regular basis, everyone is advised to use unique passwords for every site they frequent. You have several options enabling you to do this. You can try to remember them all in your head, you can write them down on a piece of paper, or you can use a password manager. And with more people opting for the latter, Firefox Lockbox has entered the fray. Firefox Lockbox is a simple password manager that works exclusively with the Firefox web browser. It means that any logins (usernames and passwords) you store in Firefox will be available on your mobile across the various websites and apps you need to sign in to. The initial setup is a breeze compared to other password managers. You install the app and sign into your Firefox account, and Lockbox will copy over all of your passwords. Your credentials are protected by 256-bit encryption, and even Mozilla cannot access them. For an extra layer of protection, you can lock the app using a fingerprint scanner or facial recognition. 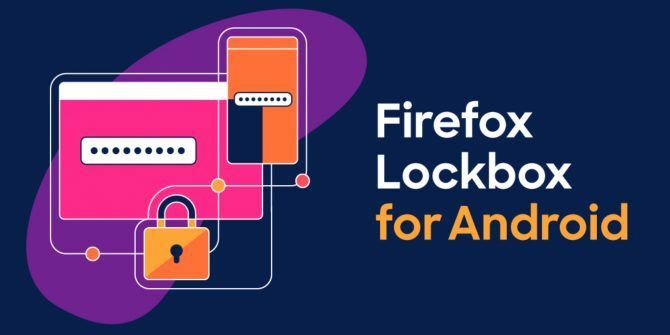 As previously mentioned, Firefox Lockbox is also available on iOS, and on the Mozilla Blog, the company claims it has been downloaded more than 50,000 times. Firefox Lockbox is a solid option for those already using Firefox. And it may even tempt you to switch from your current browser of choice. However, there are other password managers available, and these are the best password managers for every occasion The Best Password Managers for Every Occasion The Best Password Managers for Every Occasion Struggling to remember your increasingly elaborate passwords? It's time to rely on one of these free or paid password managers! Read More . Explore more about: Mozilla Firefox, Password, Password Manager.